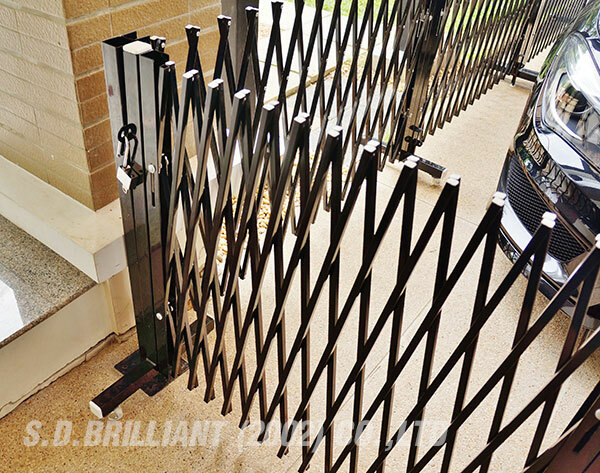 •Low friction continuous hinge system means less moving parts, easy operation and zero maintenance. 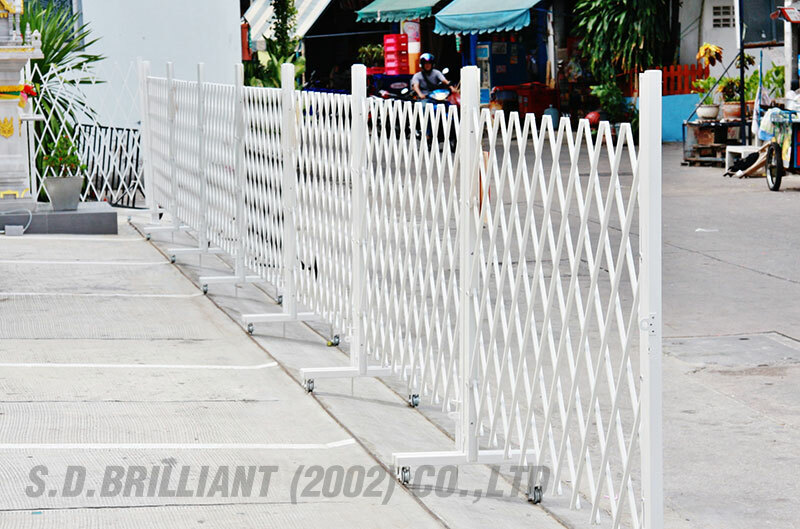 •Trolley barriers. 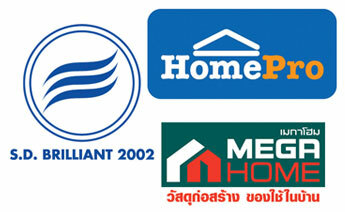 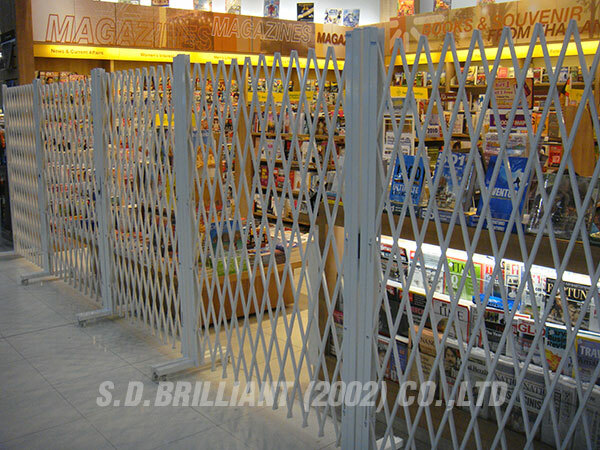 Can secure any area of your business. 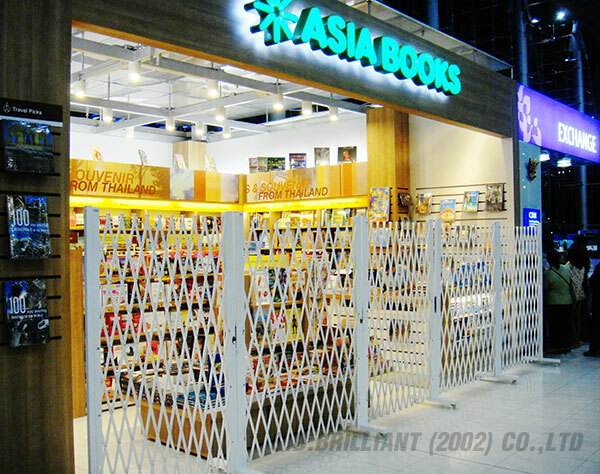 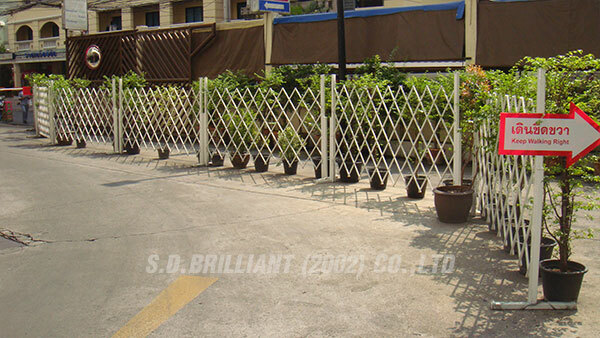 Perfect for retail shop-fronts, bank, airports, kiosks, reception areas, windows etc. 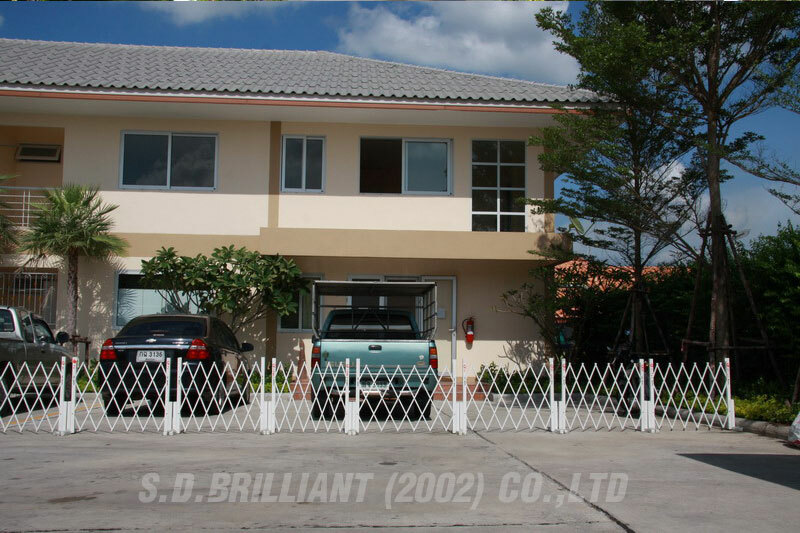 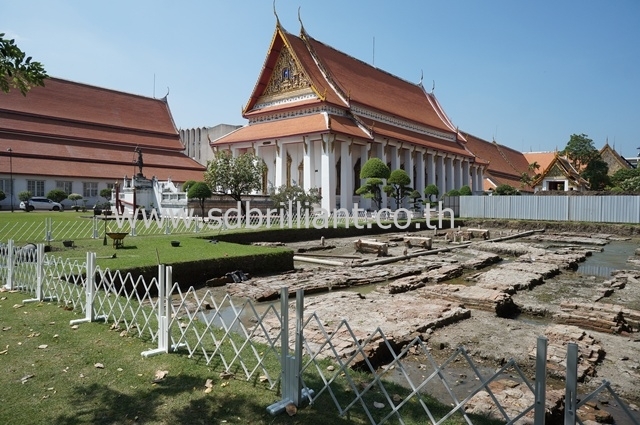 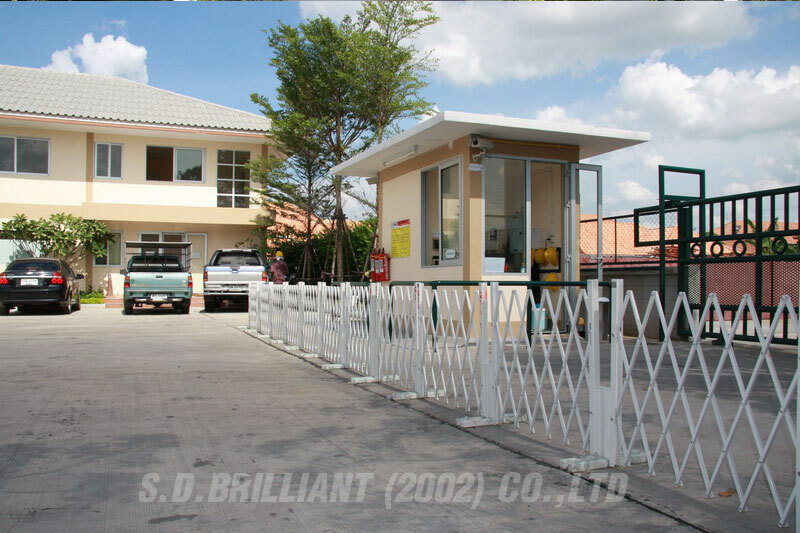 •The standard configuration is a straight line, or a square or rectangle secured area. 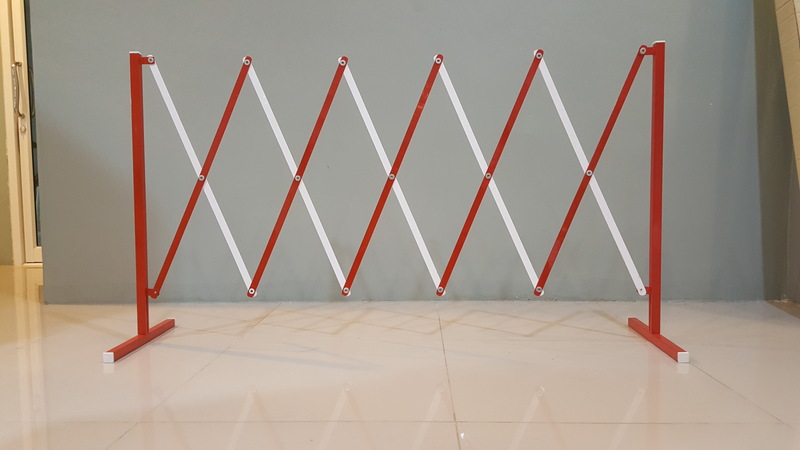 But a curved configuration is also available, meaning you can create a circle around shopping centre aisle displays or isolated machines in your factory. 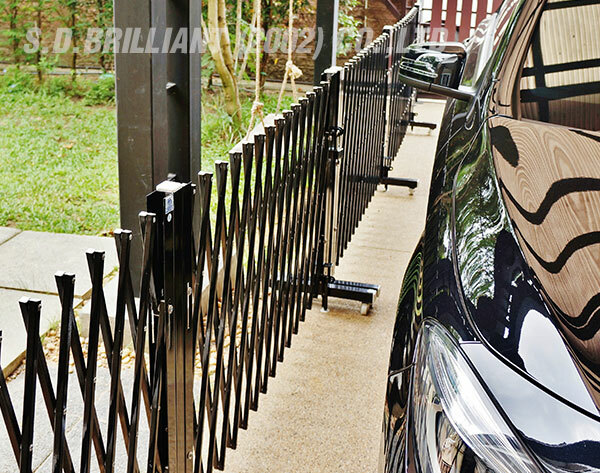 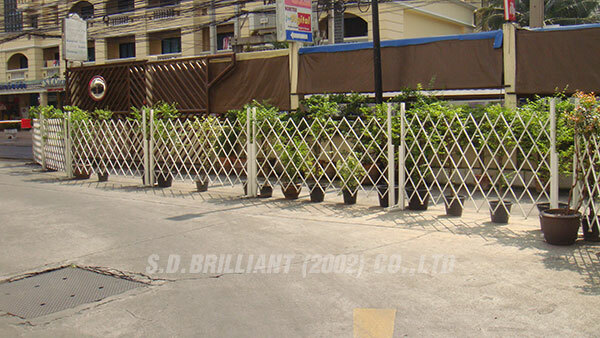 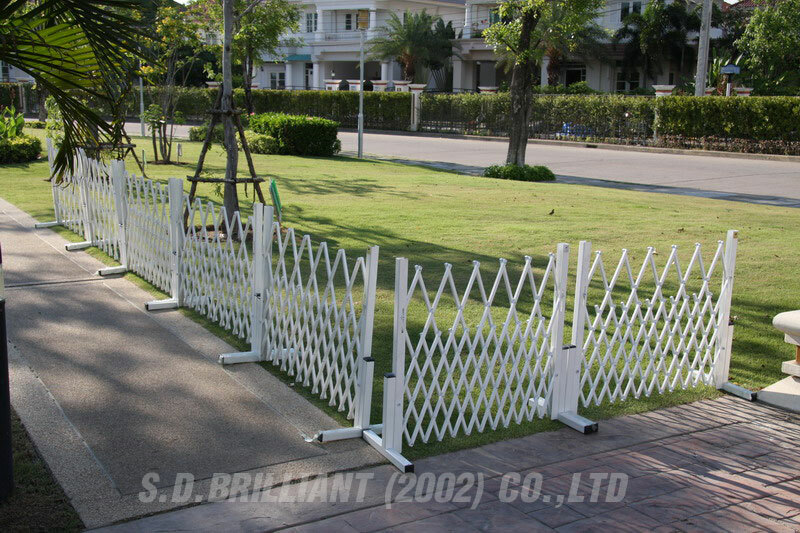 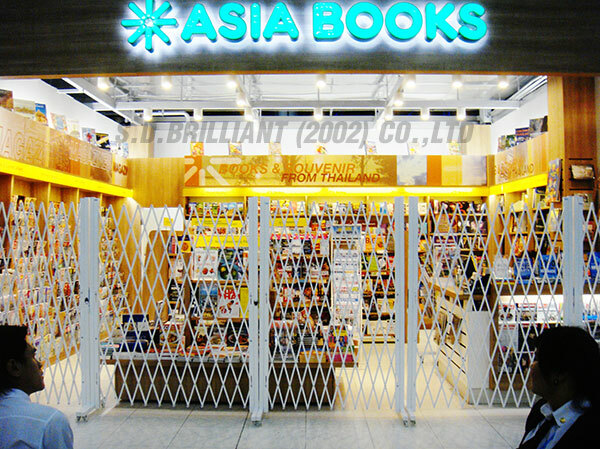 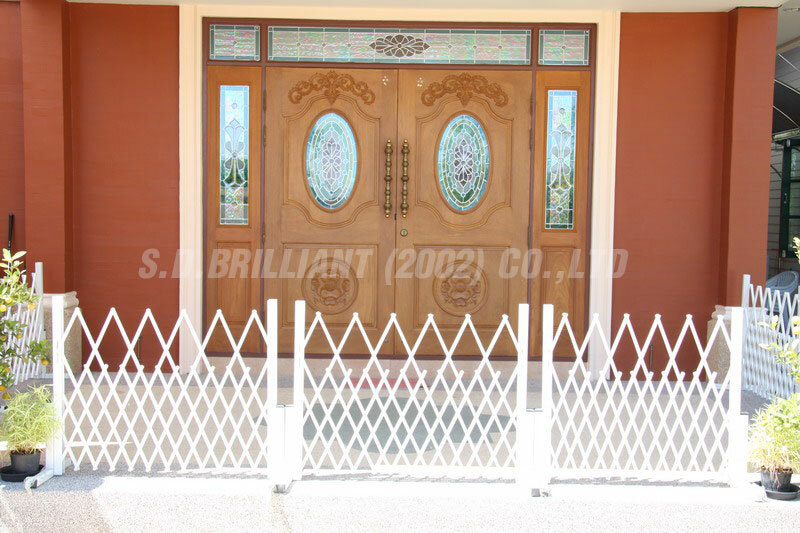 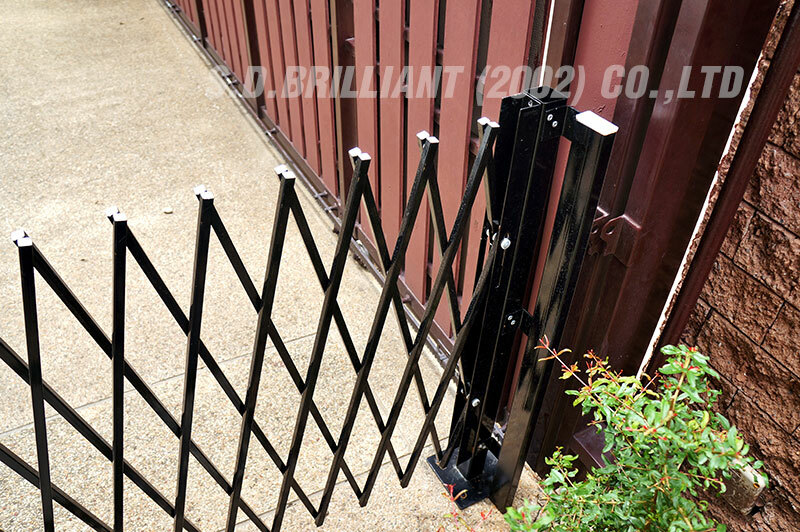 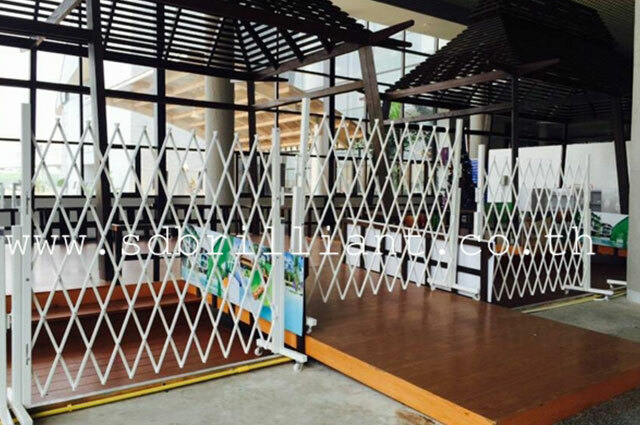 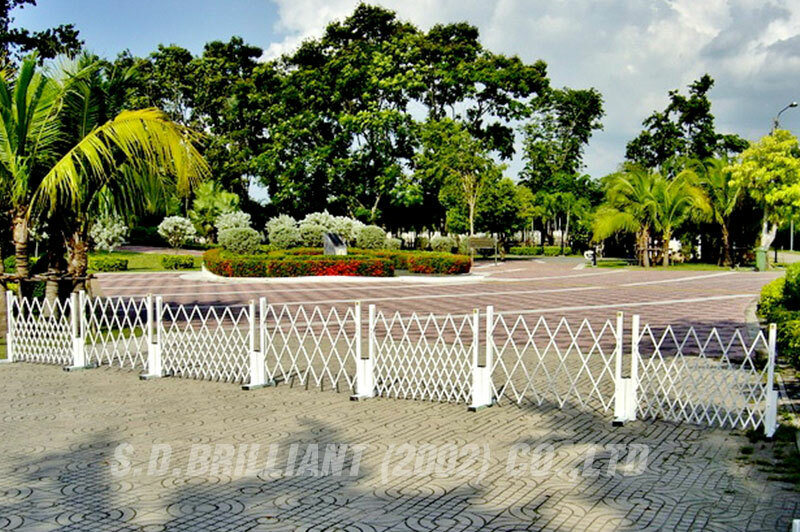 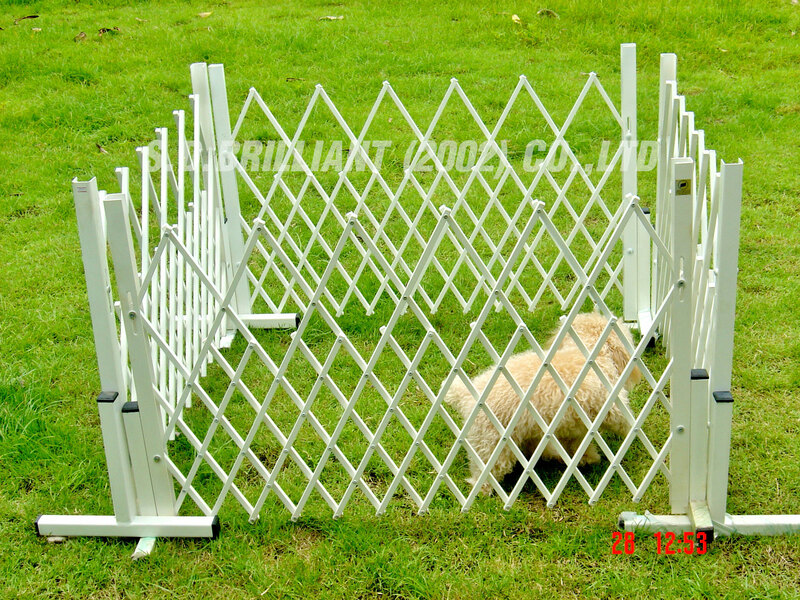 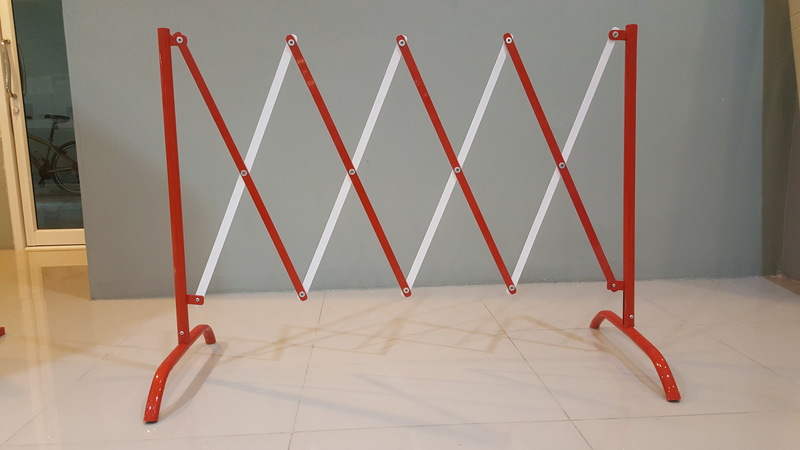 •Trolley barrier to secure your lovely pets (such as dogs, cats) in your strict or specific area. 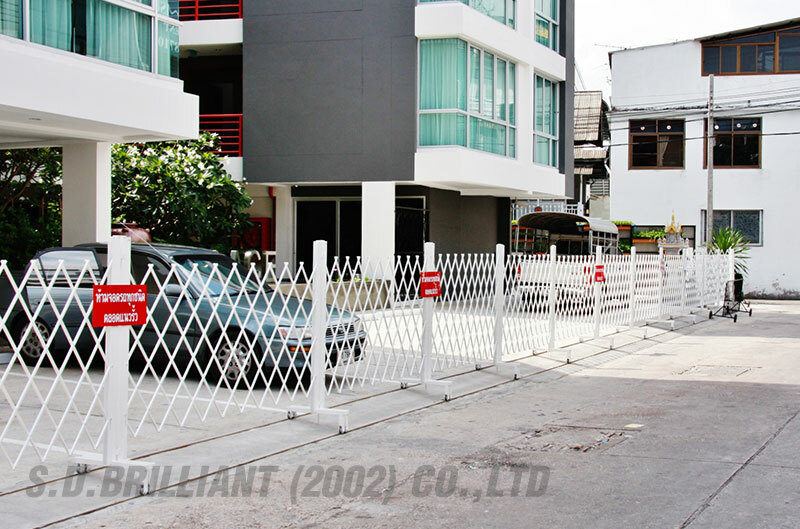 •The trolley barrier can pivot or rotate up to 270 degrees so as to create a completely clear opening.